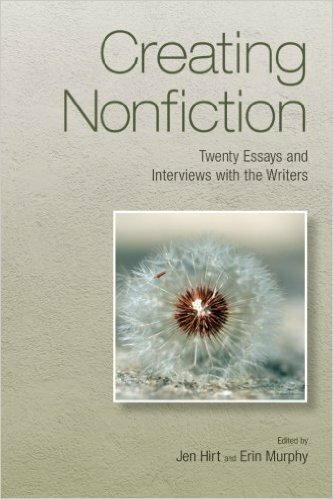 Creating Nonfiction: Twenty Essays and Interviews with the Writers, edited by Jenn Hirt and Erin Murphy. For those who want to learn more about writing nonfiction, this is a great book! The editors are creative writing/English professors at Penn State. They have compiled a variety of essays reflecting this growing and ever-changing genre. Each essay is followed by an interview with the writer. At the back of the book, the essays are further listed by topic (such as family, identity, loss) and technique (such as experimental, literary journalism, memoir). I found this helpful as I experiment myself with different topics and techniques and see where I feel most naturally comfortable. As a blogger, I also was happy to read that blog posts are now the dominant platform for creative nonfiction and the book contains examples of these short essays. 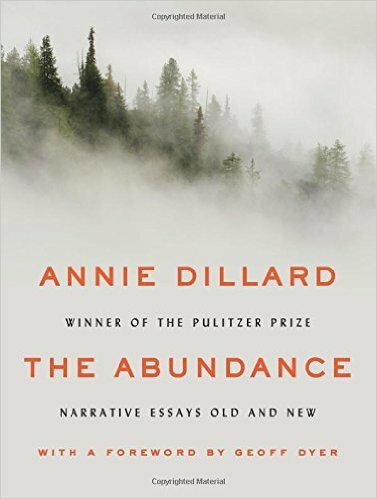 The Abundance: Narrative Essays Old and New, Annie Dillard. A collection of 22 essays spanning more than 40 years of Dillard’s work. Winner of the Pulitzer Prize, Dillard was pushing the boundaries of essay writing long before nonfiction and memoir became such hot commodities. Her language and images are breathtaking. If you are a wanderer –- in nature and spiritual matters – you’ll enjoy this collection. I personally preferred her shorter pieces on childhood memories and being a writer. At its best, the sensation of writing is that of any unmerited grace. It is handed to you, but only if you look for it. You search, you break your heart, your back, your brain, and then – and only then – is it handed to you. Push it. Examine all things intensely and relentlessly. Spend it all, shoot it, play it, lose it, right away, every time. Anything you do not give freely and abundantly becomes lost to you. You open your safe and find ashes. “You Can’t Make This Stuff Up: The Complete Guide to Writing Creative Nonfiction from Memoir to Literary Journalism and Everything in Between,” Lee Gutkind. Founder and editor of Creative Nonfiction magazine, professor at Arizona State University. What is most important about creative nonfiction is that it not only allows but also encourages writers to become a part of the story or essay they are writing. This personal involvement creates a special magic that can help alleviate the anxiety of the writing experience; it provides satisfaction and self-discovery, flexibility, and freedom. The important thing to remember is that the only way you are going to write successfully is to keep on writing until you get it right. Just keep writing. Publication and prestige will happen when it happens, but high-quality writing, prose to be proud of, is your primary mission. 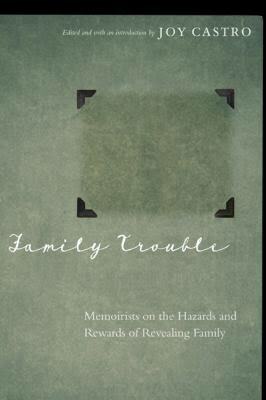 Family Trouble: Memoirists on the Hazards and Rewards of Revealing Family, edited by Joy Castro. Twenty-five writers discuss experiences of writing family memoirs and dealing with fallout. In some cases, family members helped write or edit the memoirs. In a few, family members stopped speaking to the author. Most of the fine essays are in between, that is, revealing family issues caused turmoil, but eventually led to better relationships. 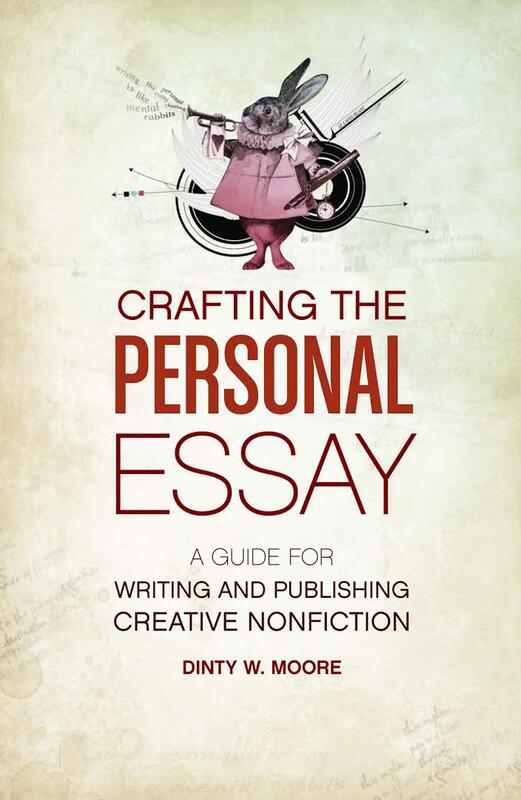 Crafting the Personal Essay: A Guide for Writing and Publishing Creative Nonfiction, Dinty Moore. Professor of nonfiction writing at Ohio University. Author of Between Panic & Desire (memoir), The Accidental Buddhist, Toothpick Men, The Emperor’s Virtual Clothes. Widely published stories and essays. Discusses several types of essays: memoir, contemplative, lyric, spiritual, gastronomical, humorous, nature, travel with examples and prompts. Includes helpful sections on setting schedules, overcoming blocks, rewriting and publishing, as well as recommended readings and resources. I want him as my personal teacher, next-door neighbor, big brother! So helpful and down-to-earth.